The next event is on Thursday 13th July at 6pm at Chauffeurs Cottage, St Peter’s Road, Peterborough PE1 1YX. Guest speakers include multi-discipline Performance Artist Talia Randall who will cover a range of topics relating to her practice including cross-artform collaboration, poetry & spoken word and social engagement. If you would like to present one of the 3 Minute Wonder ‘open mic’ slots please email ruth@metalculture.com asap. 7pm – 7.30pm: 3 Minute Wonders – Up to 10 x 3 minute ‘open mic’ spots for artists/organisations to talk about new ideas, existing projects, opportunities coming up, or calls for support. 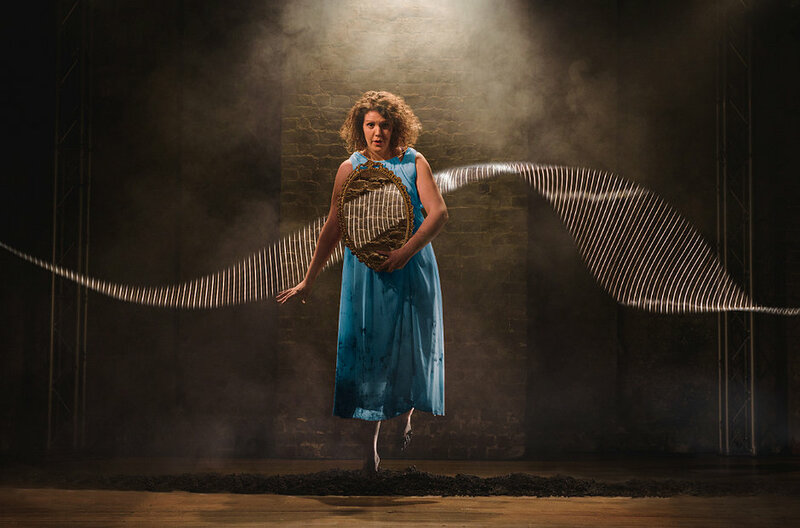 Talia Randall’s work spans, theatre, poetry, cabaret and comedy. An inventive, adventurous and thoughtful artist, Talia’s work has been called “playful and fascinating” (Sabotage Reviews), “absolutely sublime” (dig.com) and “distinctive” (The Upcoming). Talia does not have a traditional arts background and has a learning-by-doing approach to her work. She has performed at The Roundhouse, The Southbank Centre, Battersea Arts Centre, Bristol Old Vic, Glastonbury, Latitude and The Edinburgh Fringe. Talia’s talk at the Future Network will cover a range of topics relating to her practice including cross-artform collaboration, poetry & spoken word and social engagement. Don’t expect to be lectured to for 40 minutes – the presentation will be relaxed, informal and interactive. BOOK YOUR FREE PLANCE HERE.